By Randall G. Holcombe, Ph.D. In a recent blog post I argued in favor of shifting the Florida Retirement System (FRS) that provides pensions for retired state workers to a defined contribution system, and privatizing the system. Governor Scott and many legislators favor the shift to a defined contribution system, and because many private companies provide these systems for employers, there is no reason for the state to be involved at all. 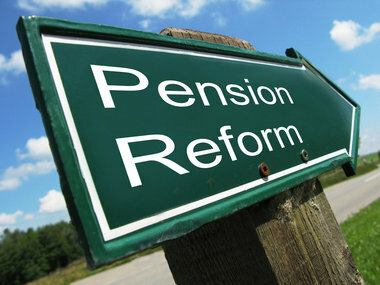 Let private companies handle the pension system for state workers. Let’s look at two arguments against this, to see why they don’t hold up. First, critics of privatization note that FRS is running well as it is, and argue “If it ain’t broke, don’t fix it.” The problem with this argument is that the time to fix it is before it breaks, not after. FRS is, at the moment, about 80% funded, or maybe less, depending on who’s doing the calculations, but nobody calculates that it is fully funded. That’s already a problem, but not as big a problem as in some other states like Illinois and California that face substantial unfunded liabilities. Many of Florida’s local governments do also. FRS “ain’t broke” only in comparison to many other government pension plans that are in much worse shape, but it still has unfunded liabilities. The main counter argument isn’t that the system is broken now, however, but that the time for reform is before FRS runs into the same problems that dog so many government pension plans. A second argument is that the current defined benefit plan is better for workers and retirees, but that’s not true either. For one thing, with a privatized defined contribution system, money is deposited into the employee’s account and belongs to the employee. A defined benefit plan depends on FRS remaining solvent as long as the employee lives. Current employees’ benefits depend on the system being in good shape after they retire, which may not be true even if it is in good shape now. A defined contribution plan avoids this problem. Second, while retirees in a defined contribution plan can annuitize their retirement benefit to get a guaranteed amount every month, they don’t have to. For employees with substantial assets, they can just withdraw money when they need it, and leave the amount in their accounts when they die to their heirs. This option is not available with a defined benefit plan. Third, while some argue that the retirement benefits are greater with a defined benefit plan, this isn’t necessarily true. It depends on how much the state kicks in during the employee’s period of employment. A fourth benefit is that employees are immediately vested in a defined contribution plan. Short-term employees in a defined benefit plan may not work long enough to get vested. Shifting FRS to defined contribution plans and privatizing it offers benefits to the state, to taxpayers, to employees, and to retirees.